Watch a video of the actor’s candid reaction. 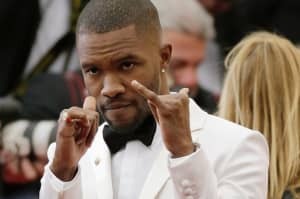 Last month, Frank Ocean wrote a brief post on Tumblr about how Call Me By Your Name's Michael Stuhlbarg is his "new dad now and that’s that." 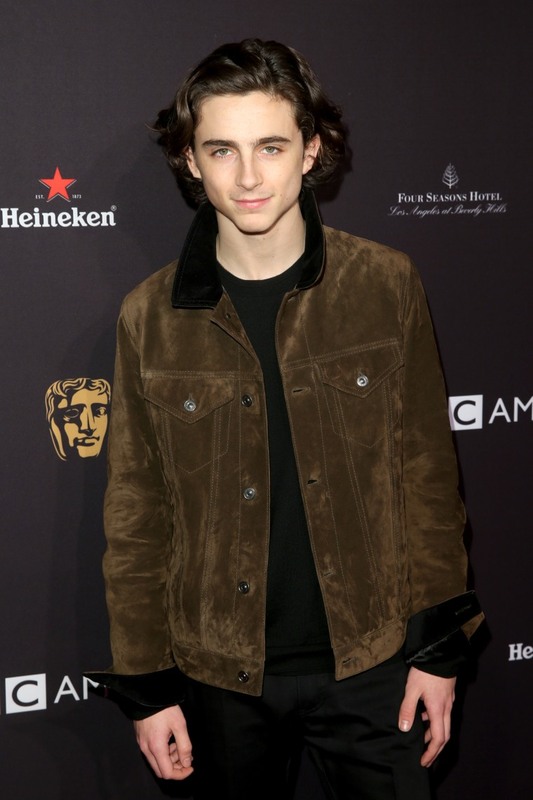 During a red carpet appearance at the BAFTA Tea Party in Los Angeles, a reporter asked Timothée Chalamet how he felt about Ocean watching film. As expected, the 22-year-old's reaction was absolutely precious. "This reaction should say it all," he said. "I'm the biggest fan of his in the world. He has shown all of us what it is to have, beyond artistic integrity, fresh artistry in a time where just because of the digital landscape, it can be hard to maintain a mystery, a freshness and he's done it." Back in November, Chalamet gave praise to Cardi B during his acceptance speech for Breakthrough Actor at the Gotham Awards. During his teenage years, he also dabbled in rap under the moniker Timmy T and was knighted by Lil B.
Luca Guadagnino's Call Me By Your Name is nominated for multiple awards at tonight's Golden Globes including Best Motion Picture—Drama. Chalamet is in the running for Best Performance by an Actor in a Motion Picture—Drama while Armie Hammer is up for Best Supporting Actor. Watch Chalamet gush about Ocean in the video, below.